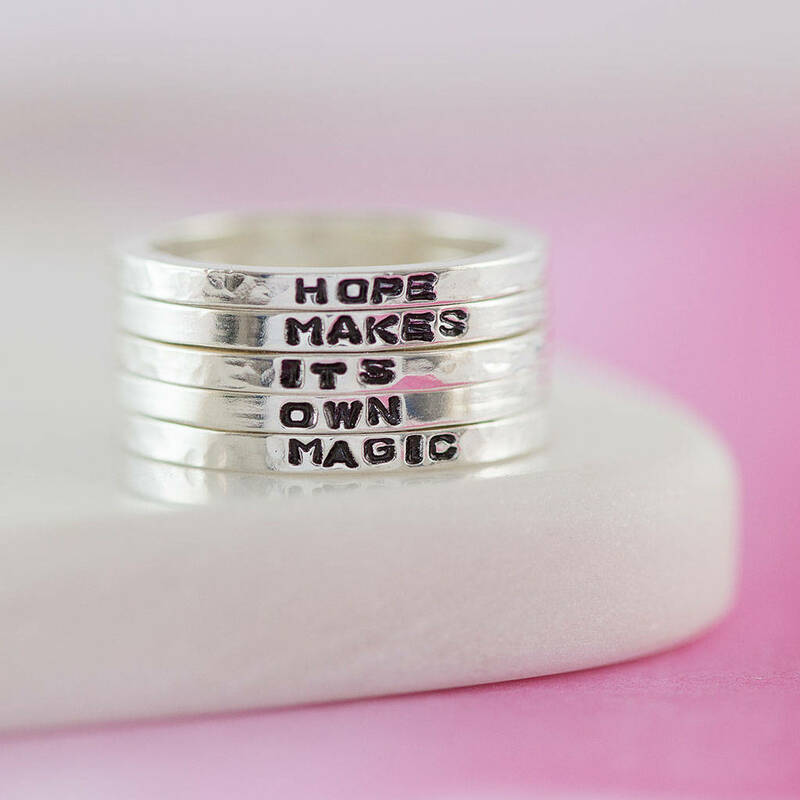 Our Personalised Mini Stacking Rings are for those who like to keep it simple. Designed and made by Little Silver Star at our Bristol workshop. 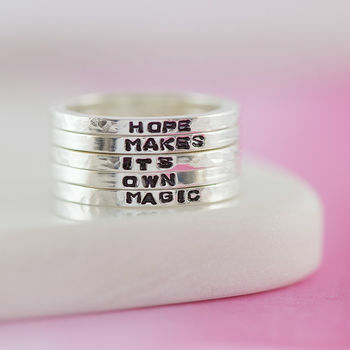 These super cute rings come in two finishes; hammered and plain (see photo). Great on thier own or all stacked together, choose your perfect combination. 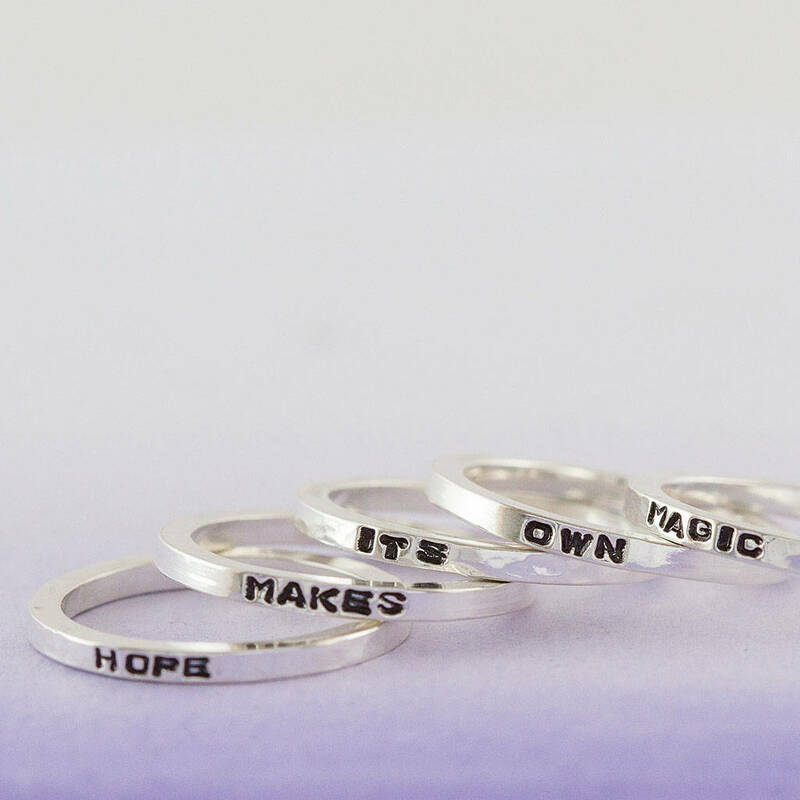 Made from fine sterling silver each ring can be personalised with 10-21 characters (see photo) and they stack perfectly with our Personalised Birthstone Stacking Rings and our Sun Moon and Star Stacking Rings. Please choose the number of rings you would like and say 'no thanks' to the rest of the required options.